Sharing thoughts on the emerging intersection of innovation, cultural development, personal transformation, nature and ancient wisdom. In 2016 Al was chosen to be part of the first accelerator program for authors and wrote his first book, Modern Tribe. His first solo-book, was successfully crowdfunded in late-2016 and is now in the process of publishing. By 2050, 70% of the world’s population is going to be living in cities. Depression will be the leading cause of morbidity by 2030 as a result, according to the World Health Organisation. Modern Tribe proposes a renewed approach to our personal growth and wellbeing, through returning to community and coliving. Exploring the intersection of technology, ancient wisdom, community and urban living; how can we re-imagine a more sustainable and culturally enriching living future? 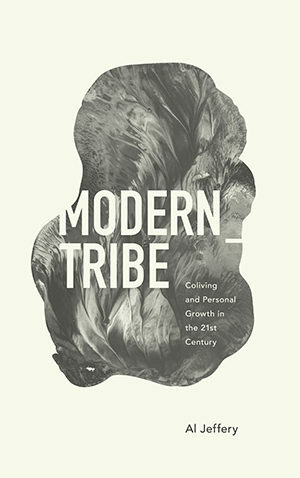 Read more and purchase your copy to be part of the Modern Tribe here.